Team duffle bags. 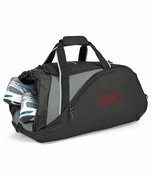 Small barrel duffle bag for team sports and activities. Medium sized for trips to the practice field. Easy lightweight, web handles and over the shoulder carry strap. 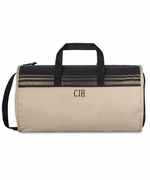 Can be personalized with school logo, mascot or individual name. Large section of school colors and embroidery threads. Call 888-815-3455 to place a special order or questions on color or digitizing a logo. 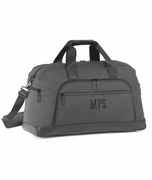 Team duffle bag measures 18"W x 10"H. Water resistant interior, zipper closure. This is the second time I have used Simply Bags. I have purchased the customized bags for my grandchildren. They delivered the items quickly and they are good quality bags. I Will use them again. Thanks!